click: Run R&D. 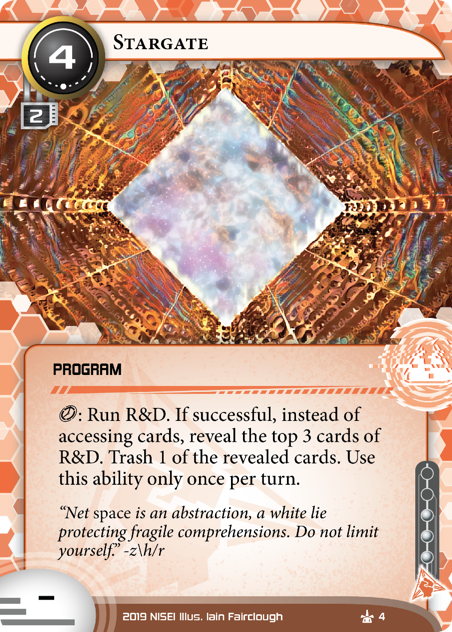 If successful, instead of accessing cards, reveal the top 3 cards of R&D. Trash 1 of the revealed cards. Use this ability only once per turn.